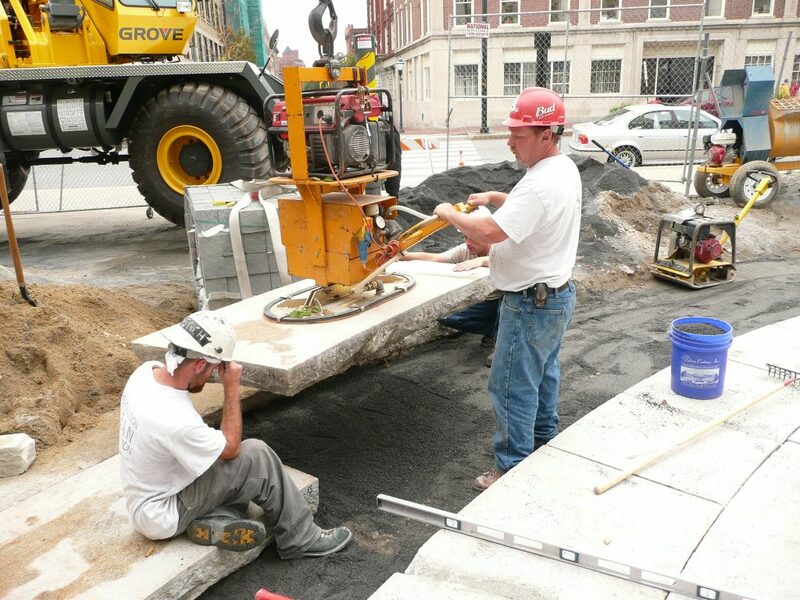 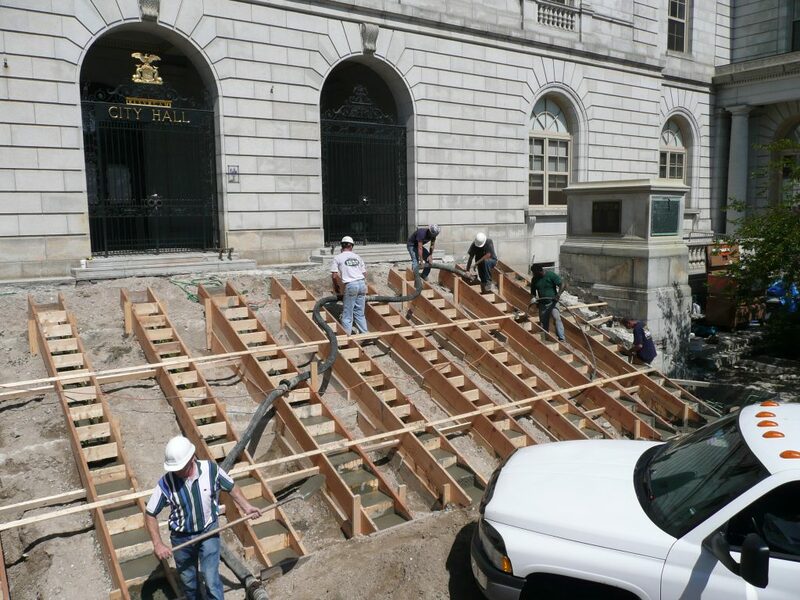 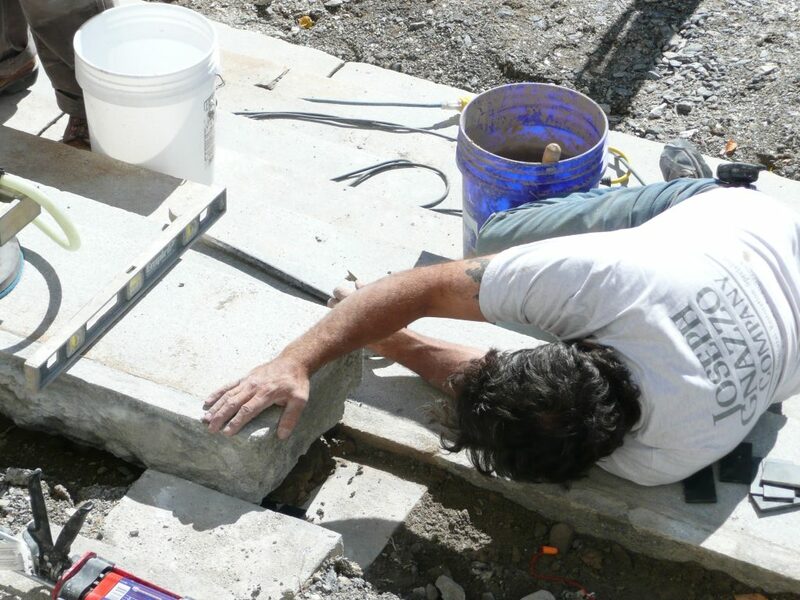 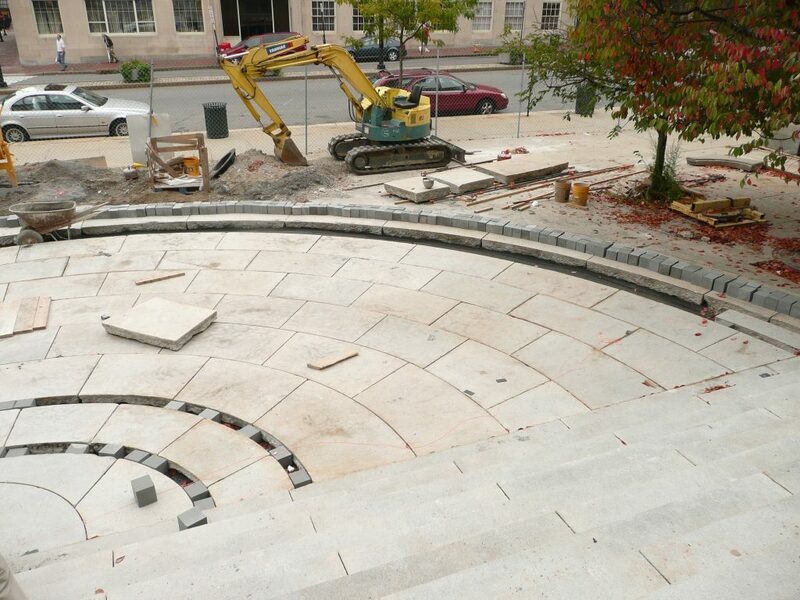 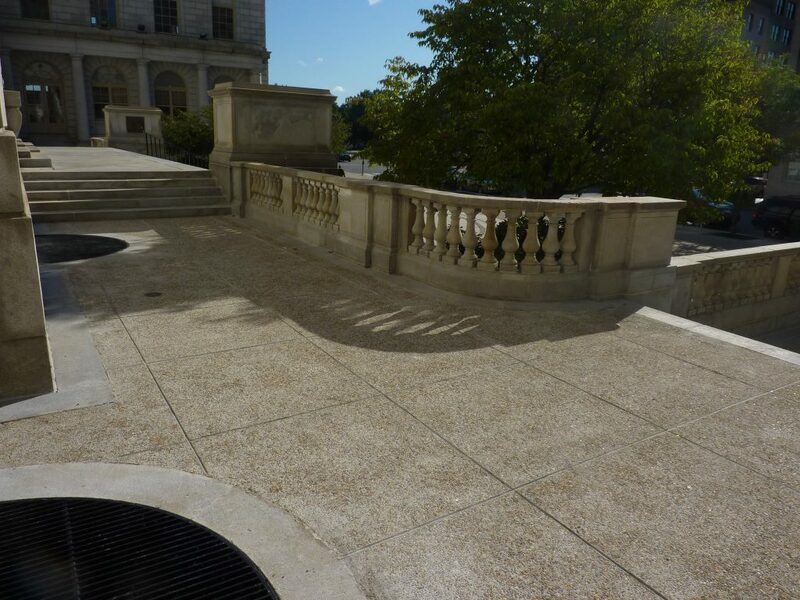 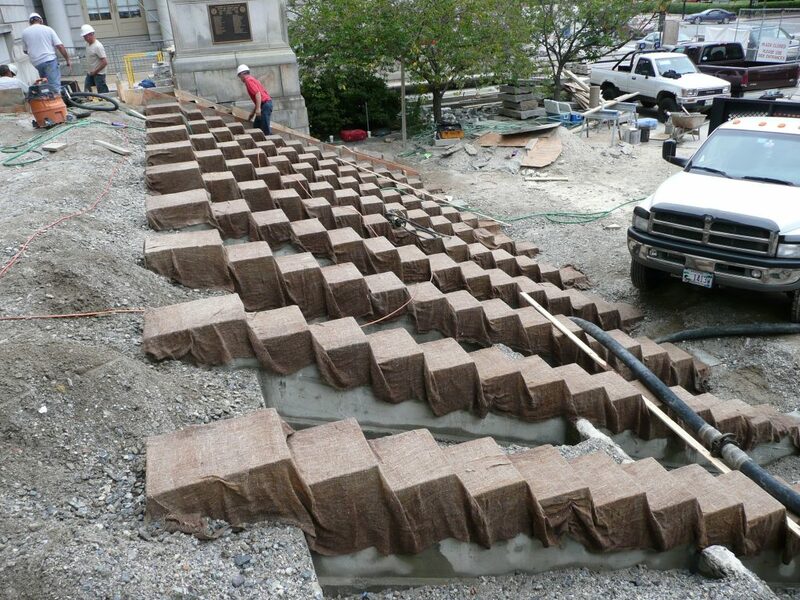 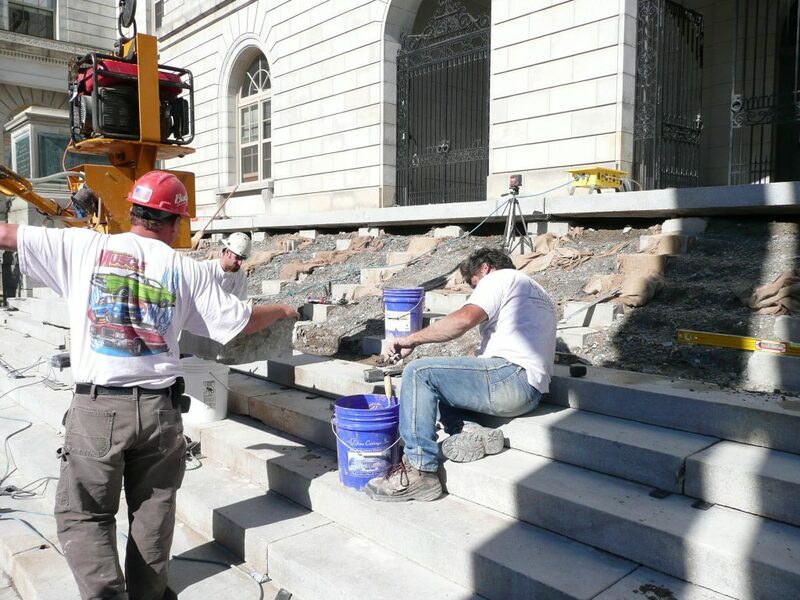 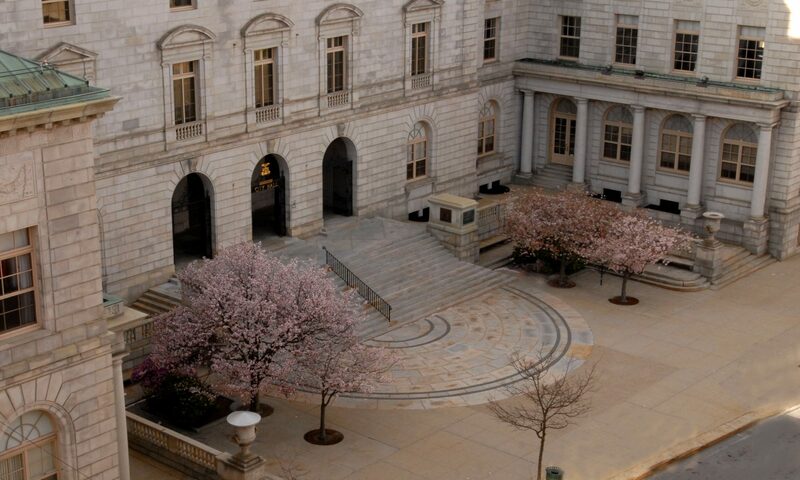 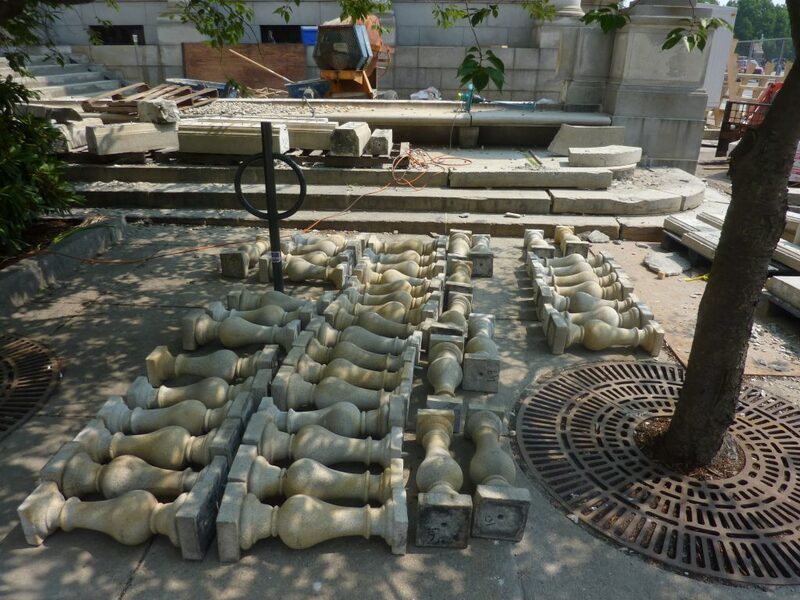 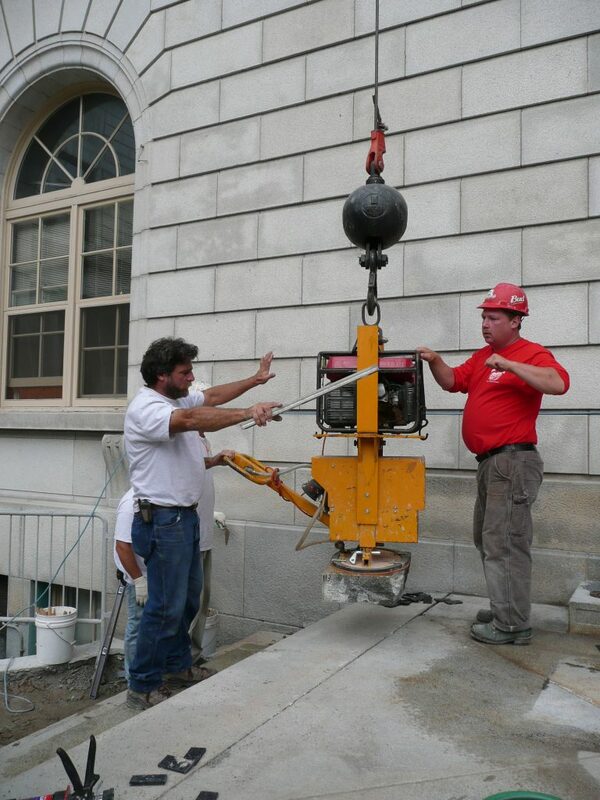 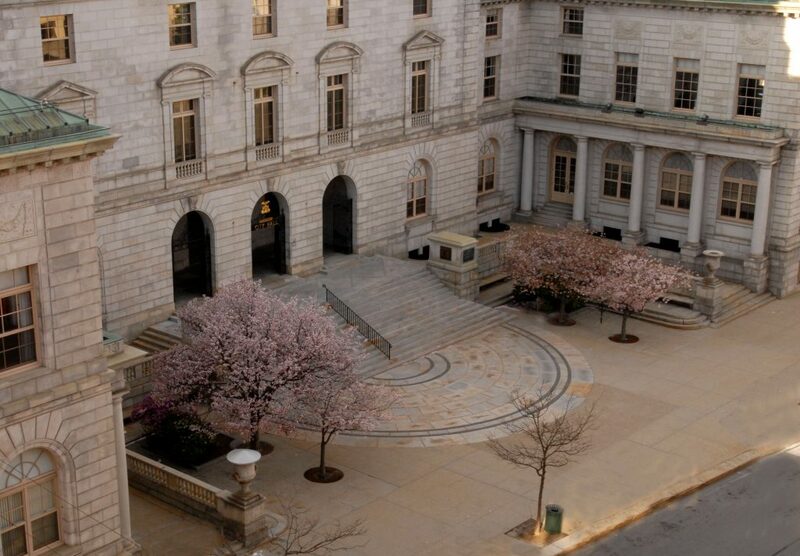 The City of Portland hired John and Al to restore City Hall Plaza. 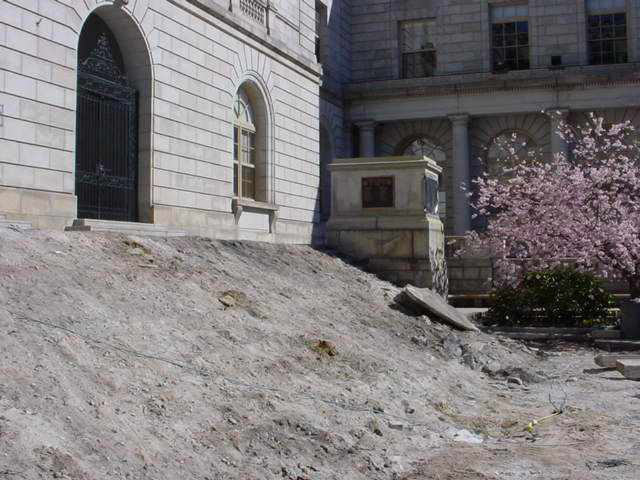 The Plaza had experienced creep resulting from the burying of the remains of the previously burnt City Hall into the soils of the 1908 Plaza. 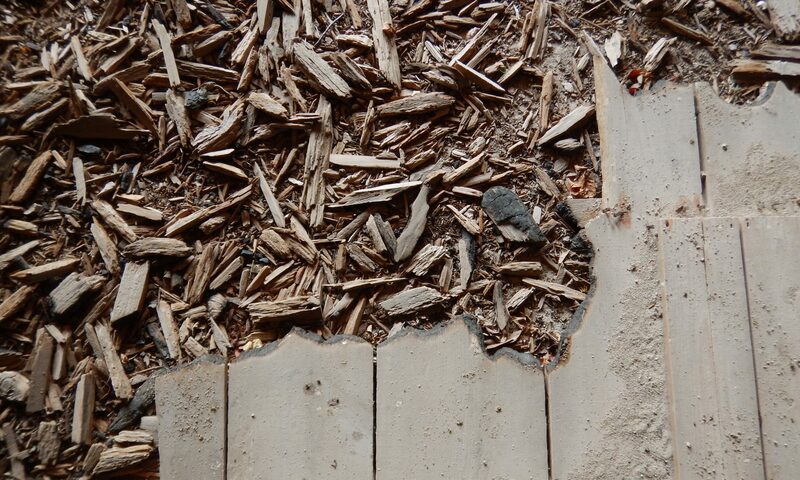 Unsuitable soils included charred timbers, lead flashings and masonry remnants. 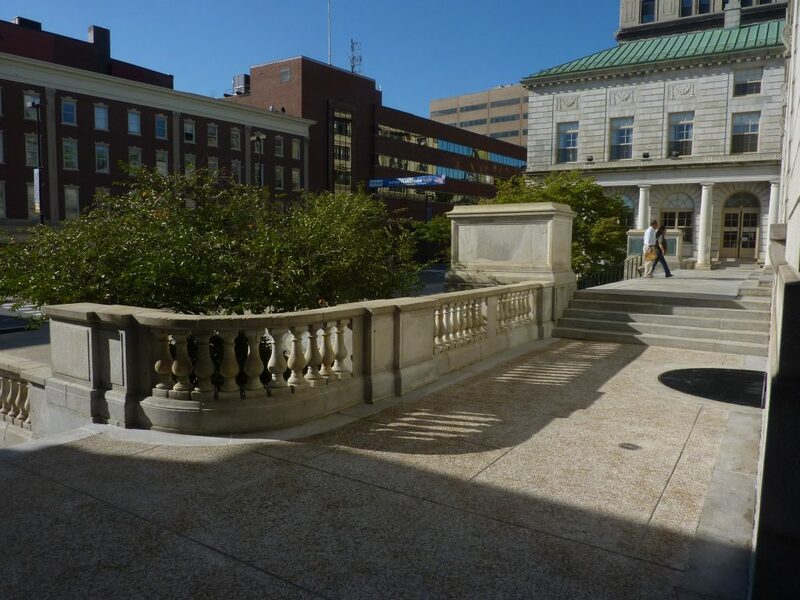 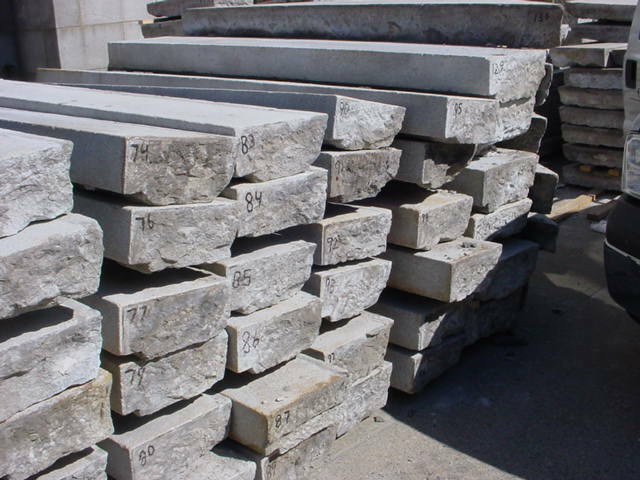 The project included stabilizing the subsurface, installing appropriate foundations, reinstalling and restoring the original stones in their original locations, cleaning and repointing masonry and installing Dutchman repair where necessary. 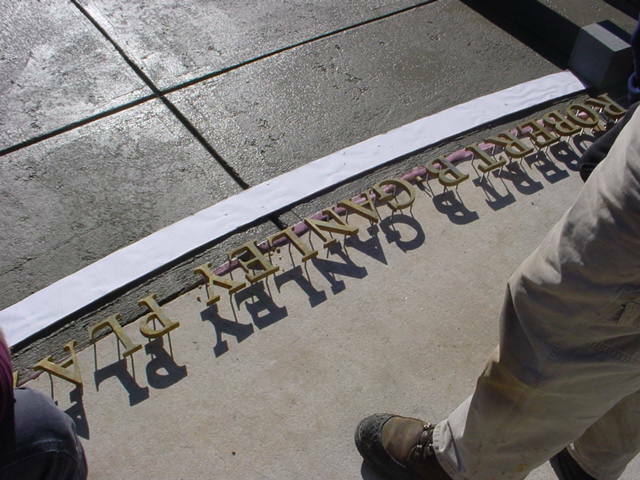 Pebble-dash sidewalks and bronze memorial embedded lettering were featured.